A 17-year-old shooter has died and two other students are wounded, including one in critical condition, in a shooting at Great Mills High School, in St. Mary’s County, Maryland, Tuesday morning. WASHINGTON – A 17-year-old shooter has died and two other students were wounded in a shooting at Great Mills High School in St. Mary’s County, Maryland, Tuesday morning. St. Mary’s County Sheriff Tim Cameron said Tuesday that Austin Wyatt Rollins, a student at the school, fired a Glock semiautomatic handgun at a girl in a hallway at about 7:45 a.m., at the beginning of the school day. The girl and another student, a boy, were wounded. The school resource officer, who was alerted to the shooting by students and staff, then engaged the shooter in about a minute, Cameron said; the officer and Rollins each fired a shot “almost simultaneously.” He was pronounced dead at about 10:40 a.m., Cameron said. It’s not known whether Rollins was killed by the resource officer’s gun, or whether he took his own life, Cameron said. MedStar St. Mary’s Hospital said in a statement that a 14-year-old boy was in good condition with a gunshot wound to the thigh, and that they stabilized a 16-year-old girl and transferred her to UM Prince George’s Hospital Center. Cameron said she was in critical condition with life-threatening injuries. Cameron said they were investigating Rollins’ devices and social media and are at his home, and said that there were indications of a “prior relationship” between the shooter and the girl. He added that authorities have surveillance video, but that he hasn’t seen it yet. Superintendent James Scott Smith said the school would be closed Wednesday; he wouldn’t say for sure when it would reopen. He wouldn’t discuss whether Rollins had a disciplinary history, and said there are no metal detectors at the county’s schools. On Monday, Maryland’s Senate voted to pass a bill that would ban bump stocks. The bill is similar to one passed by the House last week; Hogan supports it. Referencing Hogan’s school safety legislation filed two weeks ago, Miller said, “In addition to a bill introduced by the governor, we have four emergency measures championed by Senator Waugh.” Maryland Sen. Stephen Waugh, a Republican, represents Calvert and St. Mary’s counties. Hogan’s initiatives put aside $125 million in capital improvements for schools for such things as reinforced doors and windows, and metal detectors at entrances. The governor has also called for dedicating another $50 million in grant money for school resource officers and additional counseling at schools. Hogan canceled his scheduled appearance on WTOP Tuesday morning. 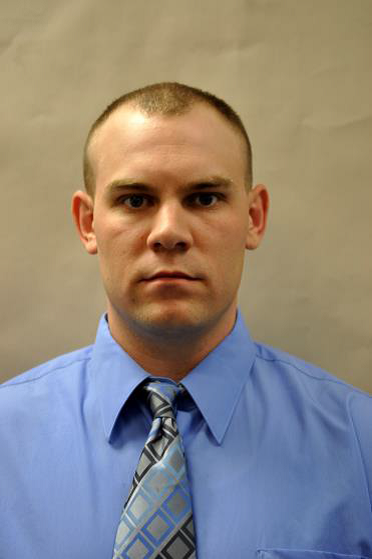 Cameron identified the resource officer as Deputy First Class Blaine Gaskill. Students were evacuated from the school and bused to Leonardtown High School, where they were reunited with their parents in a process that took until about mid-afternoon. 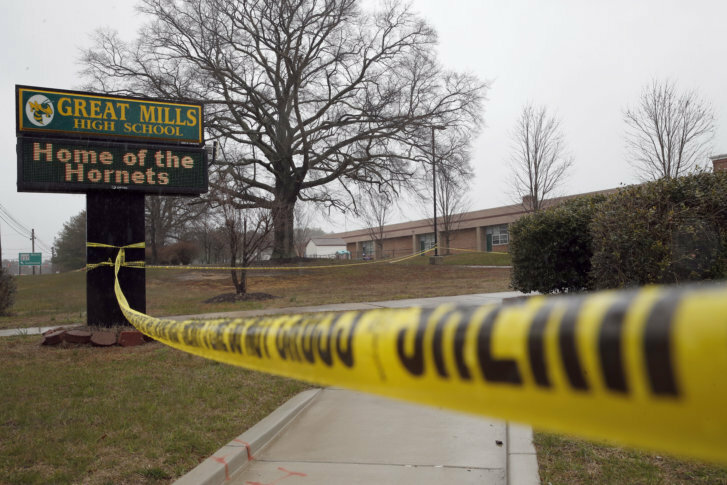 Some students who saw the shooting were kept at Great Mills to be interviewed by investigators. The FBI and Bureau of Alcohol, Tobacco, Firearms and Explosives are assisting with the investigation. Outside Leonardtown High School, Sherita Gray said news of the shooting brought her husband to tears. Moments later, she got the call from her son. “Once I heard from him, I was OK,” she said. Great Mills High School has about 1,600 students. WTOP’s Kate Ryan and Melissa Howard contributed to this report.